The College of Engineering, Architecture and Technology’s success is built on a foundation of transforming math and science into ideas, devices and processes that improve the world and advance business opportunities that support society as a whole. 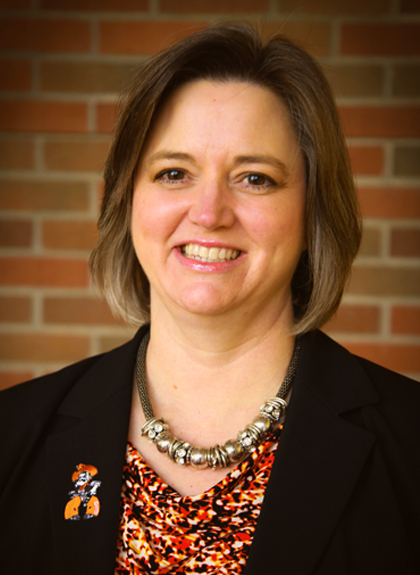 When you support the CEAT ENDEAVOR Lab, you help shape the future for Oklahoma State University. By contributing to the fund below, you make our future brighter orange! 26-71500 - This Facilities & Equipment fund benefits facilities and equipment through the College of Engineering, Architecture and Technology. ENDEAVOR's dedication to undergraduate labs will further support the college’s success and add value to the quality of each degree earned from CEAT by encouraging big ideas and developing tomorrow’s innovative leaders. This plan will modernize the college’s lab spaces and give Oklahoma State a competitive edge among peer institutions. 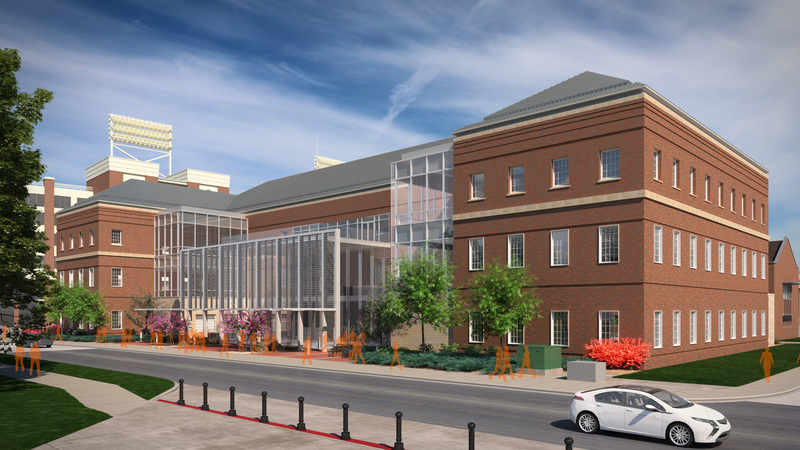 The building will foster students as they master basic engineering principles at a small scale that will later translate into larger, more complex projects and scenarios as they move into advanced education, specialization and careers. 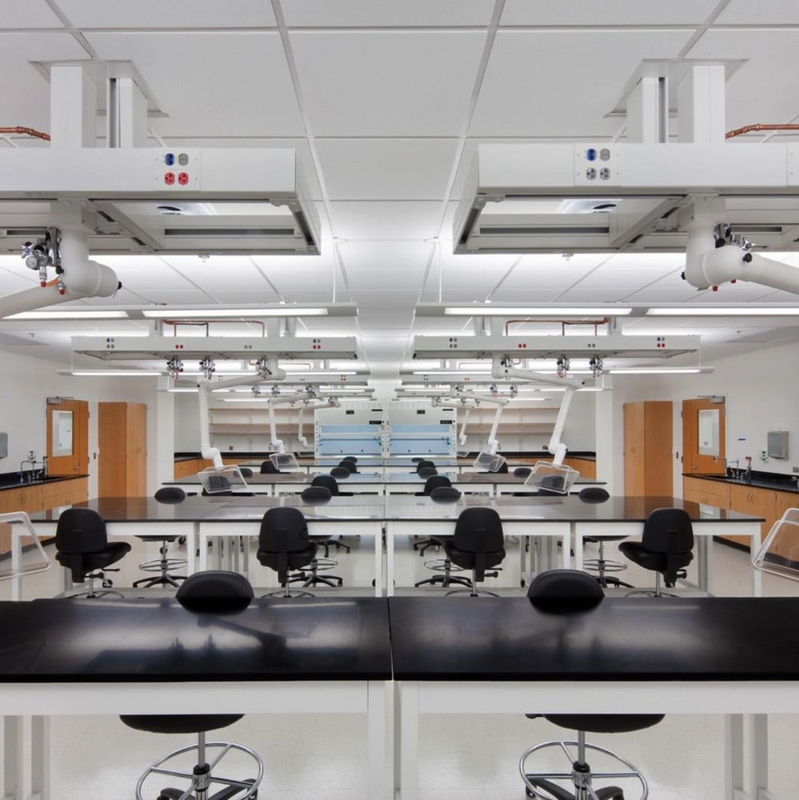 The facility’s sole purpose is to house 14 undergraduate research laboratories spread strategically throughout its four floors along with a lecture hall and student projects spaces. These labs are state-of-the-art facilities that support scaled unit plant operations, which allow students to understand the design parameters of processing chemicals and industrial materials into usable products, as well as heat transfer and fluid mechanics. Students will learn the fundamentals of pumps, heat exchangers, separations, extractions, digesters, biological processes, membranes, clarifiers, distillation, kinetics, measurement, sensors and controls. This engages teams of chemical, environmental, mechanical and biosystems engineering students, creating an atmosphere of interdisciplinary study. The lab includes configurable pilot-plant components to engage students in hands-on experiences in project teams to solve industry challenges in transforming raw-feed materials into finished products and effluent: oil & gas to fuel and plastics; and plants to biofuels, industrial and municipal wastewater to clean water. The advancing knowledge of new materials and the need to understand the design parameters of engineering materials is the focus of a worldclass laboratory for mechanical, civil, industrial and architectural engineers and engineering technology majors. 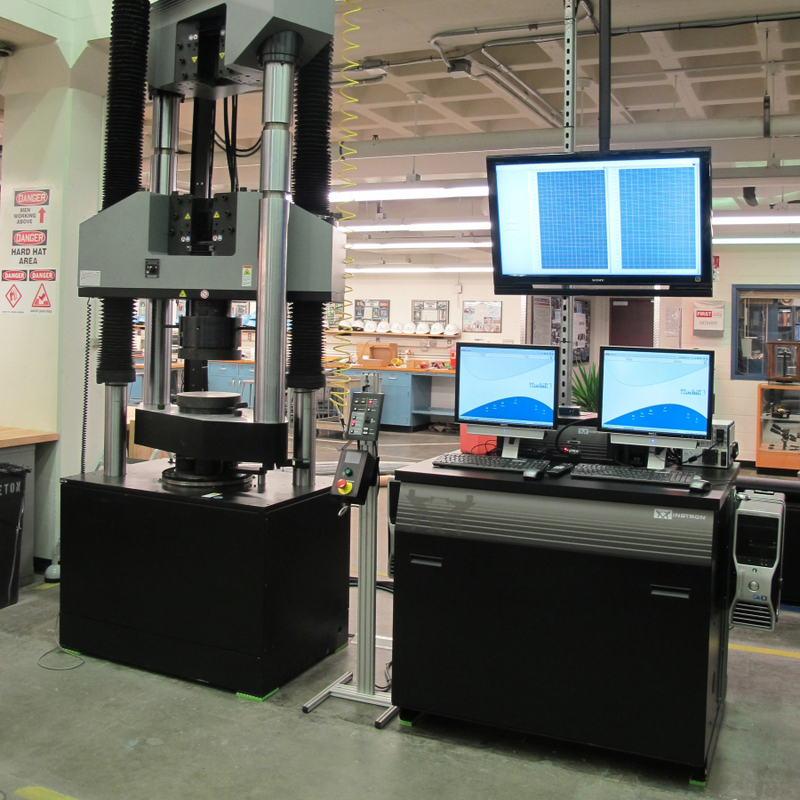 This testing laboratory will allow students to characterize materials by physically testing the properties they need in their designs. Students need a strong understanding of materials science, and this new laboratory provides the necessary laboratory testing of the mechanical properties of materials. Lab experiences will demonstrate the critical need to understanding transformations that occur when materials are processed or exposed to adverse environments. 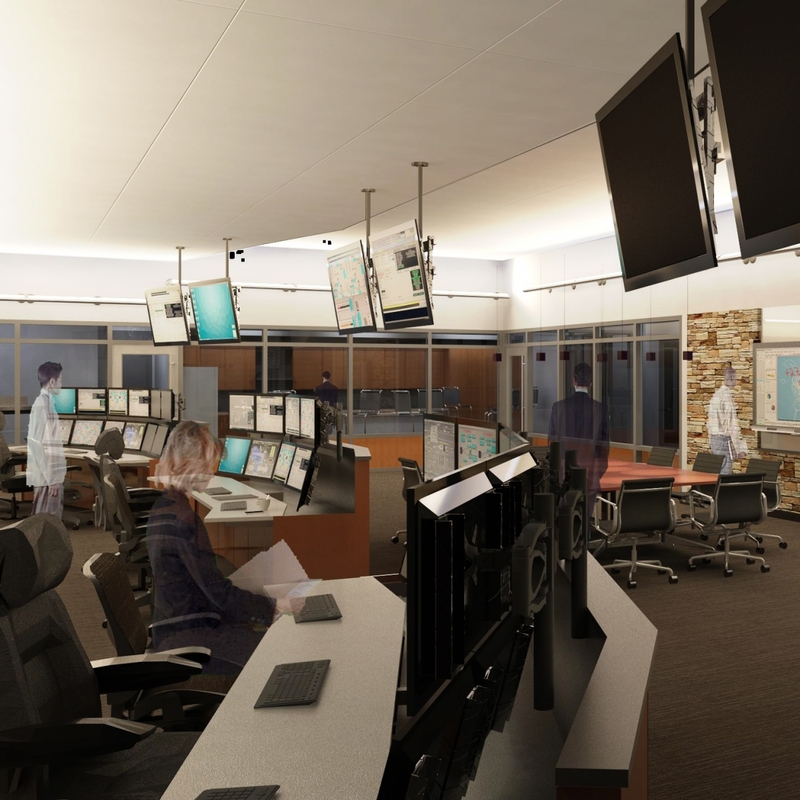 First-hand experience in these labs will make graduates more prepared for industry and prepared for advanced degrees. The laboratory contains facilities for the mechanical testing and characterization of natural and engineered materials, as well as evaluates the impact of manufacturing processes. It will allow students to assess hardness, fracture, durability, permeability, size, chemical resistance and economics to better design materials for the environments of service. Electronics, circuits, digital communications and control systems are the foundation of modern devices in electrical, industrial, computer, mechanical, aerospace engineering and engineering technology. The advances in these areas are the driver of many new innovations. While graduates should have a fundamental understanding of the theory, the true understanding comes from using the technology to innovate and experiment in new forms. This laboratory is a hands-on environment that allows students to put theory to practice and develop innovative devices that measure, evaluate and control engineered systems. Students will work in teams to develop the next generation of communication systems, electronic devices and data mining models that turn information into knowledge and real-time decisions. The Senior Design course is the culminating experience of all CEAT graduates. The college is undertaking a transformation that integrates this senior design experience across multiple disciplines with real-time industry defined problems. The capstone challenges will be led by a series of companies that need solutions to engineering problems to advance a product line, design a client driven need, solve an ongoing maintenance issue, adapt technology to existing systems or improve the efficiency of engineered systems. 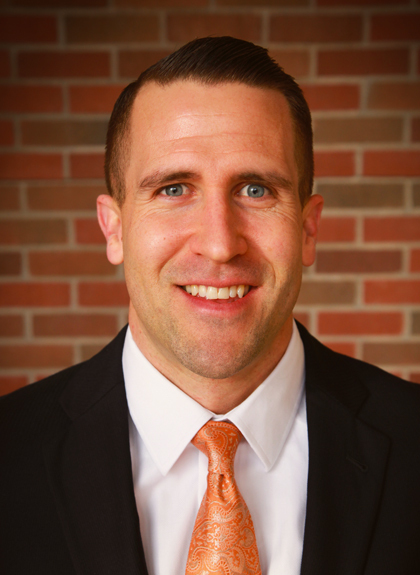 This type of practical application will set an OSU degree apart from the typical undergraduate experience at other peer institutions. The design studio is a highly flexible design space for students from all across CEAT to work on their capstone projects with faculty and industry mentors — either individually or in groups — while providing ample opportunity for cross-college interaction and synergy. 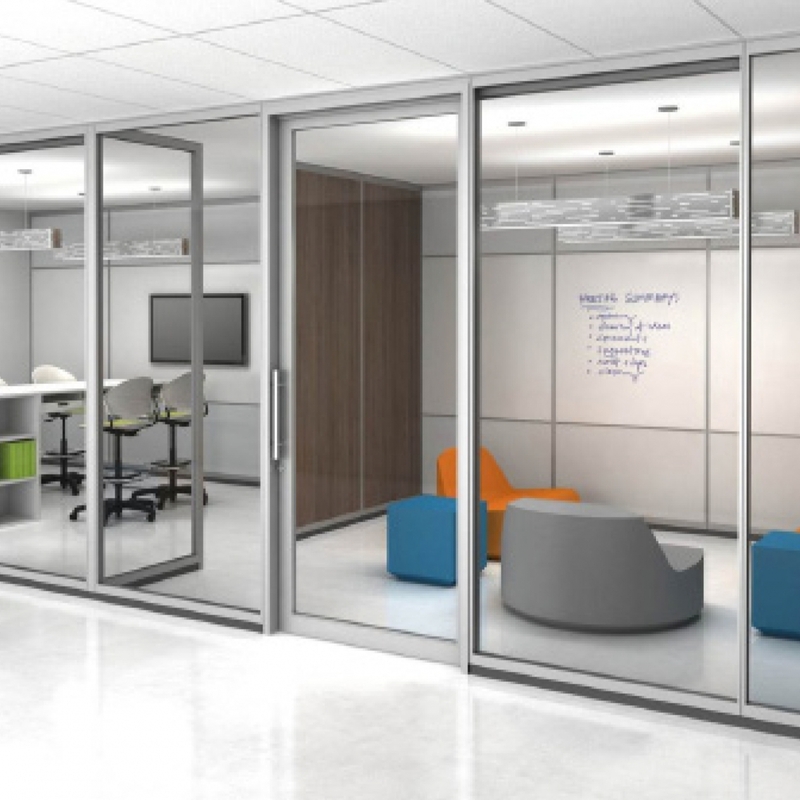 Flexible, and easily reconfigured, the large space can be adapted from year to year to accommodate project team work and collaboration.